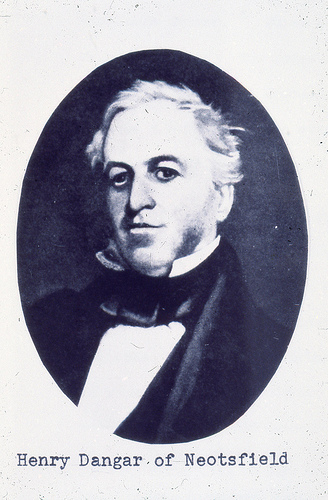 Henry Dangar of Neotsfield [1822-1850]. From the Dr John Turner Collection, University of Newcastle, Cultural Collections. In 1822 Dangar was sent to the Hunter Valley to survey Newcastle and Patrick’s Plains (Singleton). In 1827 he was found guilty of using his position for personal gain and was dismissed, however was quickly hired by the Australian Agricultural Company for his map making and surveying skills. Dangar worked closely with George Boyle White, who later surveyed much of the Hunter River, Maitland and other areas of the Hunter Valley. In 1833 Dangar retired and went to manage his Singleton property (Neotsfield). Here he built his fortune, buying up grazing land and other agricultural pursuits and also became the Magistrate. Today many landmarks and areas bear his name, including the Newcastle suburb Dangar. 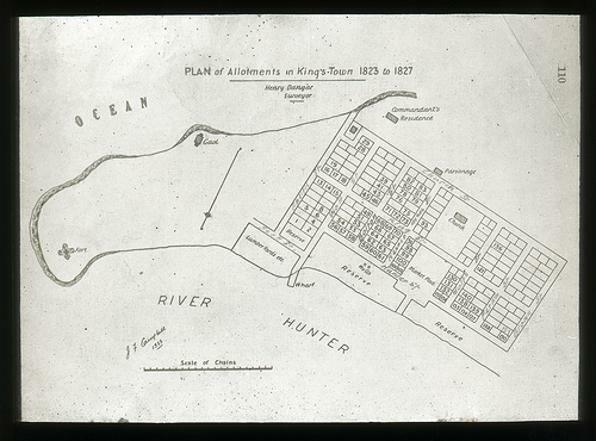 Dangar’s plan of Newcastle, 1823. From the E Braggett Collection, University of Newcastle, Cultural Collections.